Hamilton clinched the title with three races to spare after leading home team mate Nico Rosberg in a Mercedes one-two at the Circuit of the Americas. The 30-year-old has become the tenth driver in the history of the sport to win at least three drivers’ titles, joining the likes of his hero Ayrton Senna. Hamilton is also the first British driver to successfully retain the title. He first won the championship in 2008 with McLaren and regained it last year after joining Mercedes. Hamilton took the title with his 43rd career win, which moves him ahead of Sebastian Vettel as the most successful driver competing today in terms of race wins. Coincidentally, Hamilton was the first F1 driver to clinch the championship in the USA since his team mate’s father Keke Rosberg in the Las Vegas Grand Prix which took place 33 years ago. However he missed out on pole position again, meaning he can no longer equal Vettel’s record for most pole positions in a season. Having taken seven in a row earlier this year, he’s missed the last four since then. Rosberg notched up his 19th pole position and also set the fastest lap of the race: the 13th of his career, putting him level with Jacky Ickx, Alan Jones and Riccardo Patrese. Button took his best result of the season so far with sixth, but McLaren passed an unwelcome milestone as they are now in their longest ever win-less streak in terms of races. 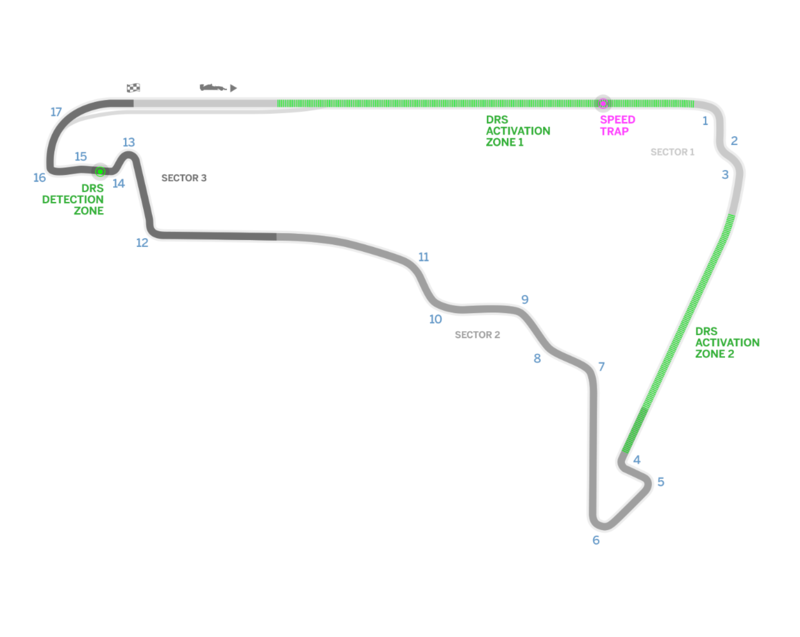 There have been 54 grands prix since Button took the team’s last win at Interlagos in the 2012 season finale. That’s one more than the team’s 53-race win-less streak between James Hunt’s victory in the 1977 Japanese Grand Prix and John Watson’s in the 1981 British Grand Prix – albeit the latter was longer in terms of time. So was their gap between Ayrton Senna’s final win for them at Adelaide in 1993 and their next win courtesy of David Coulthard at Melbourne in 1997 – a 49-race interval. Two teams celebrated happier milestones. Sauber marked their 400th race participation, including their 2006-2010 spell as BMW Sauber. They only started 397 of those races: the team did withdrew from the 1994 Monaco Grand Prix (after Karl Wendlinger’s crash in practice), the 2000 Brazilian Grand Prix (wing failures) and the 2005 United States Grand Prix (along with all the other Michelin runners). Red Bull also marked their 200th start – and they were marking ‘starts’ rather than ‘appearances’. They have 201 if you include USA 2005. Having taken a new Ferrari engine and incurred a grid penalty, Vettel took the 700th Ferrari-powered podium finish on Sunday. 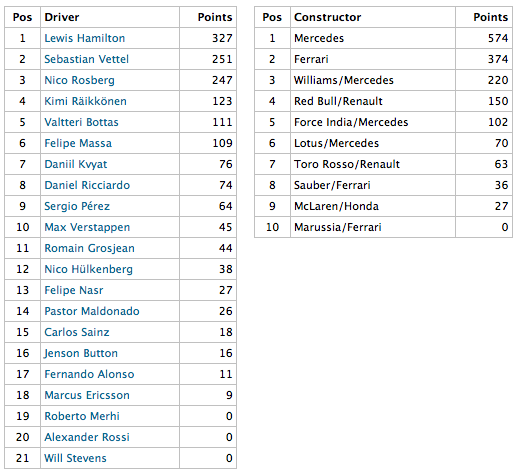 This also means Ferrari are now un-catchable in second place in the constructors’ championship. Finally, while 9.08 million British television viewers watched Hamilton clinch his first world championship live on free-to-air television in 2008, just 1.7 million were watching live on pay TV in the UK.